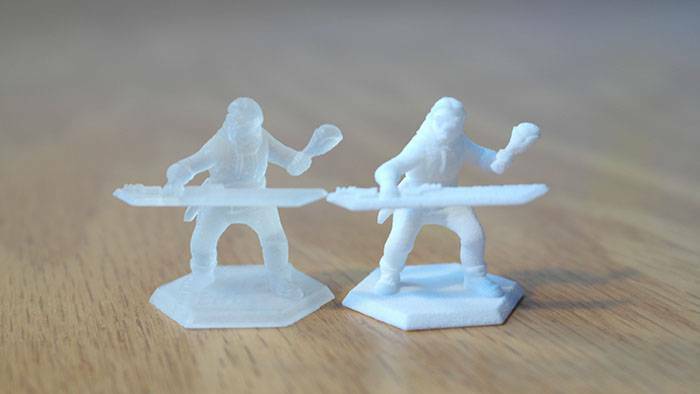 Quite some time back, I did an interview with some of the people behind Hero Forge, a very successful kickstarter that funded the creation of a website and printing solution for creating custom miniatures. Playing many games that have characters that don’t fit standard molds, the concept intrigued me greatly. 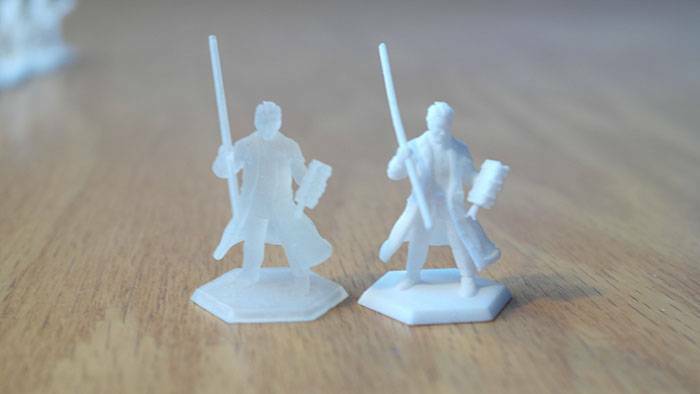 I backed it the moment I heard about it and when it was ready I created some miniatures. 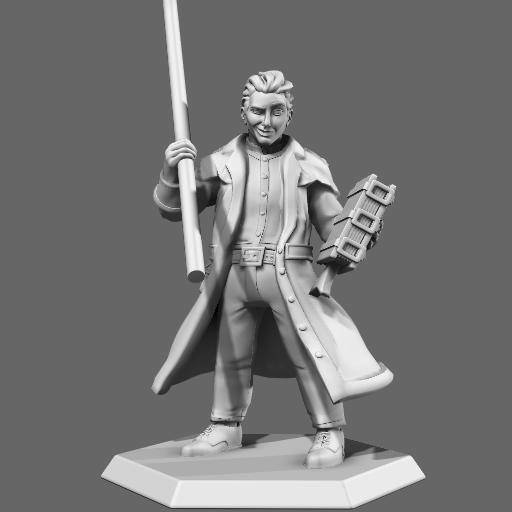 This is a hands on review of 14 miniatures I created through Hero Forge. 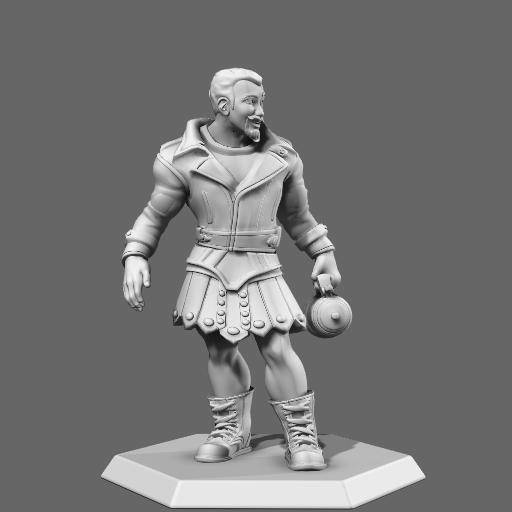 I had a bunch of minis from backing, but what to create. 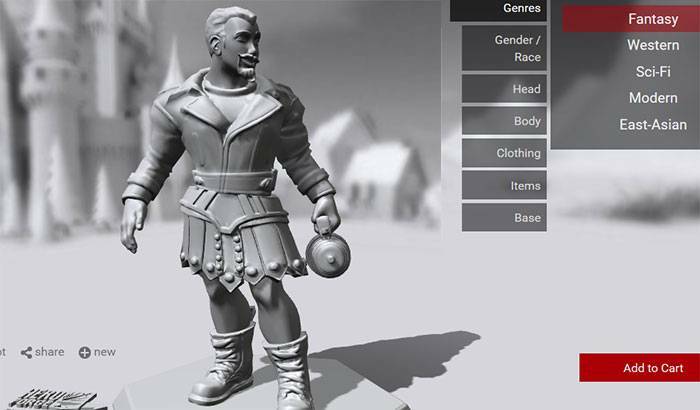 Hero Forge uses a system that lets you pick a base body type, add on clothing, facial features, and different parts to create heavily customizable miniatures. 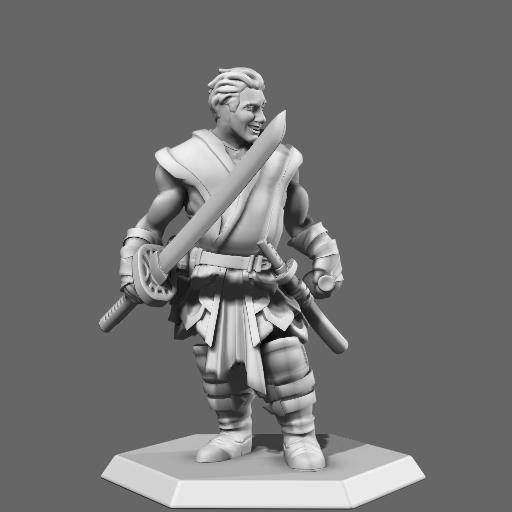 I played around and created multiple types of minis, but what did I actually want to print out and have as miniatures? Why not my gaming group? 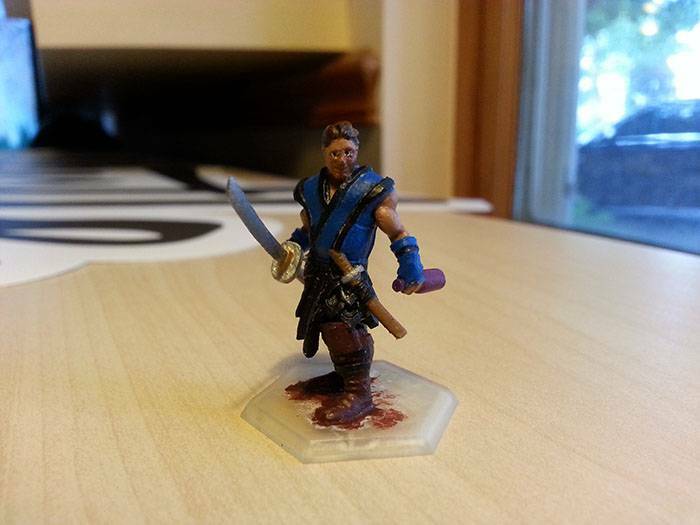 How close could I make miniatures that were representative of the main group I usually play with? 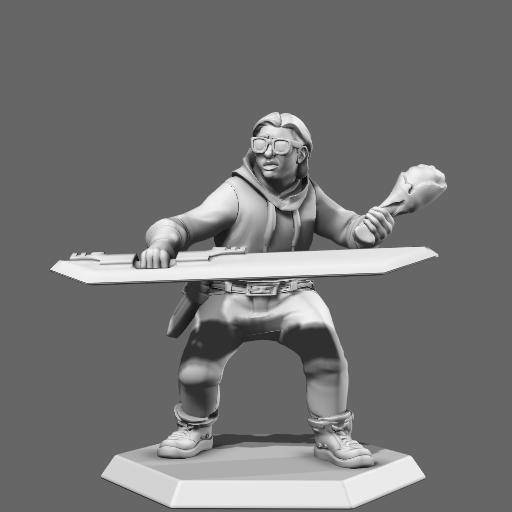 I sent the request out to my group who were all down with the idea and sent me requests/created minis that they wanted to represent them. 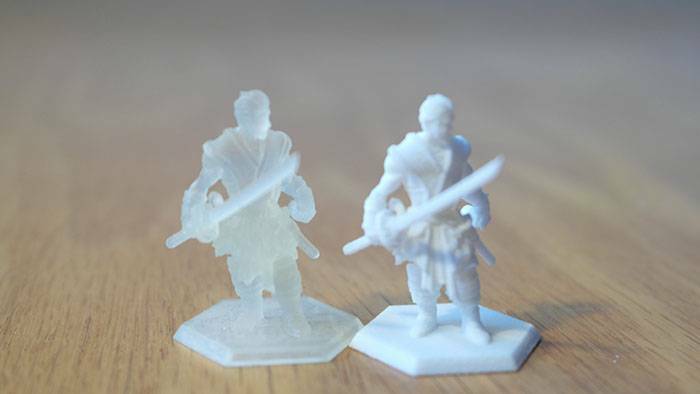 To get a good representation of what the minis were actually like, I ordered 7 each of the hi-resolution “Ultra Detail” miniatures and the low-resolution “Strong” miniatures to compare them. The pieces were mixed and matched from the various categories like sci-fi, modern, and fantasy. 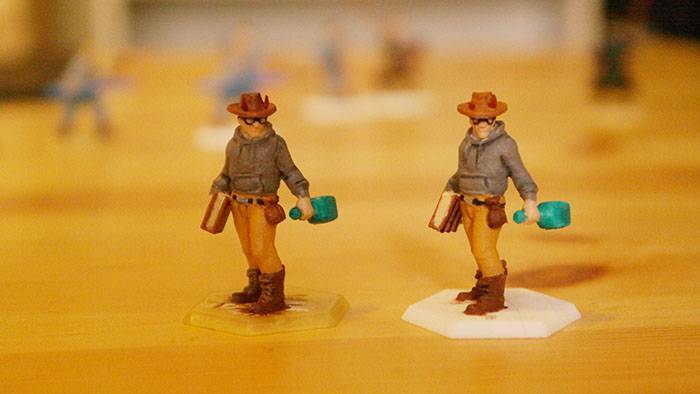 Hero Forge says that the strong plastic doesn’t take to paint as well, so I had a friend of mine – David Sweeten – who is far, far better at painting minis than I take a crack at painting them, both strong and hi-res. At the end of the pictures I’ll have some advice he gave about painting them. Pictures were taken throughout the process to show how they progressed to finished. Ultra detail on the left, strong on the right. I only have the ultra detail of myself, the strong plastic one went to a friend before the final sealing coat. Ultra detail on the right, strong on the left. The strong plastic version of matt’s went to a friend, so only the ultra-detail version is available. 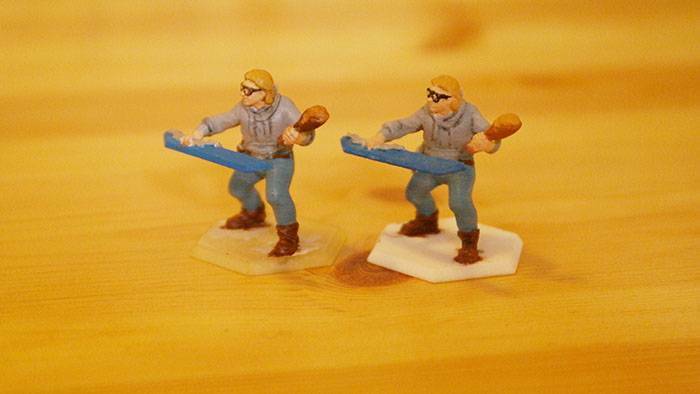 When I first got the minis, I was surprised at the clear nature of the ultra detail miniatures. For some reason, I didn’t expect them to be clear plastic. I’m not a great painter of minis yet, and I’m still working my way through the first Bones set as practice for painting. So, the idea of painting the clear plastic ones was unappealing. While I could see the better detailed nature of the hi-res miniatures, it would be harder to paint them if I couldn’t see the lines in the plastic. Primer might help, but would it cover up the details? I talked to David about my concerns when I handed them off to him and he said the primer should do just fine. Once the first layer of primer got on them, I was a lot more confident about how the final ones would turn out. 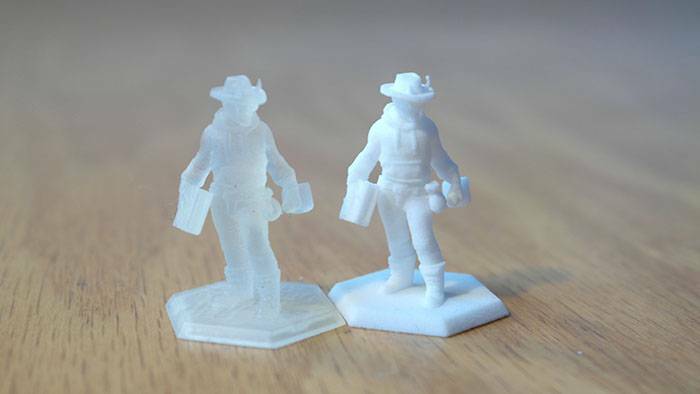 Though Hero Forge says on their site that the strong ones don’t paint well, and they certainly are less detailed, they came out pretty well under David’s deft hands. When viewed in person the lack of detail is far less noticeable. He painted shadow lines to accentuate the details, and while you can see the rougher materials and more pilling of the plastic, I think I like those almost as well as the hi-res ones. 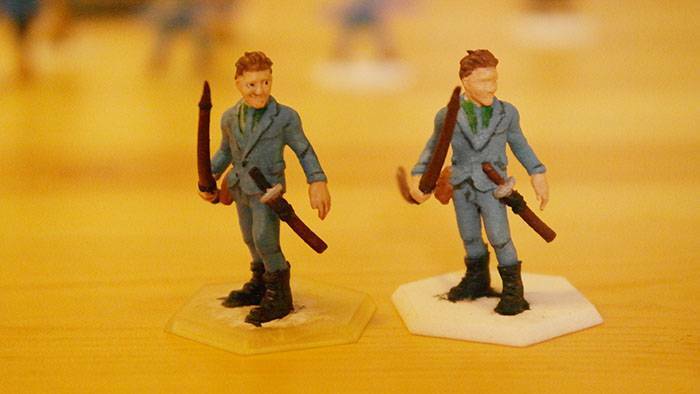 The details are definitely clearer on the hi-res ones and they can take more painted details (like the eyes and faces), but I think for most minis the strong ones are going to be fine. Using the minis without paint would certainly be doable, but I don’t think it has the same effect as having a fully painted mini. 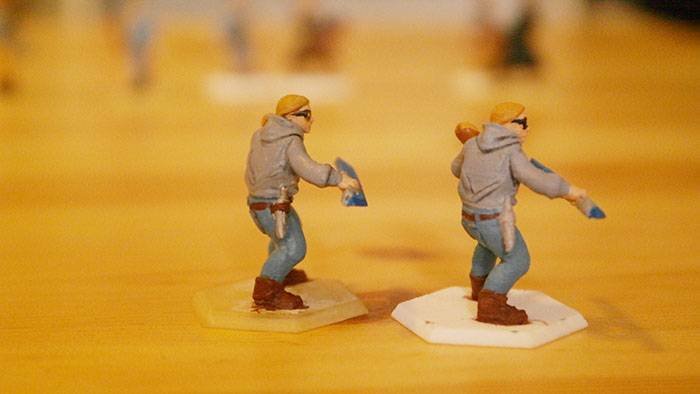 Depending on how accurate you want your mini to be, painting may be required so that it looks as good as it can. David says that the strong ones soak up paint very well and don’t likely need sealant, but the high res ones definitely do as they can chip easily. 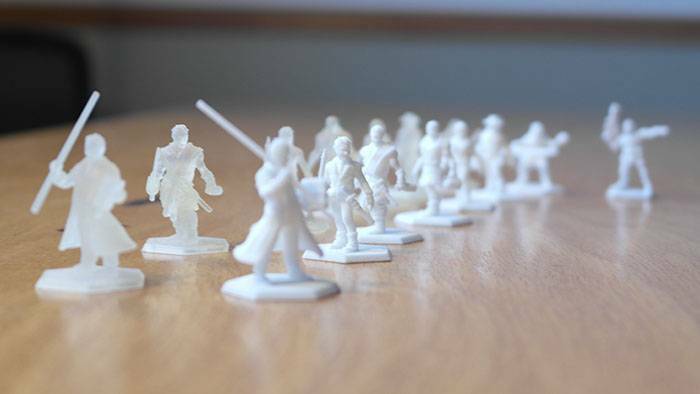 One other flaw to note is that the high-res minis are a bit brittle. 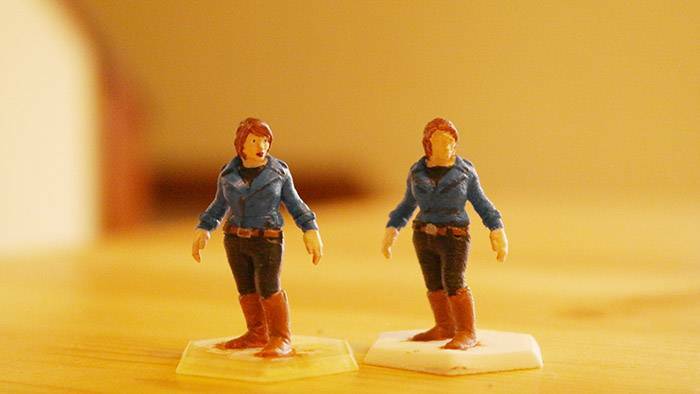 After storing in a small plastic container, each with their own compartment, two of the high-res minis broke. The staff on Ryan’s mini and the hand with the bottle on Ed’s mini. They can be fairly well repaired with just a touch of glue, but it will be very delicate work. 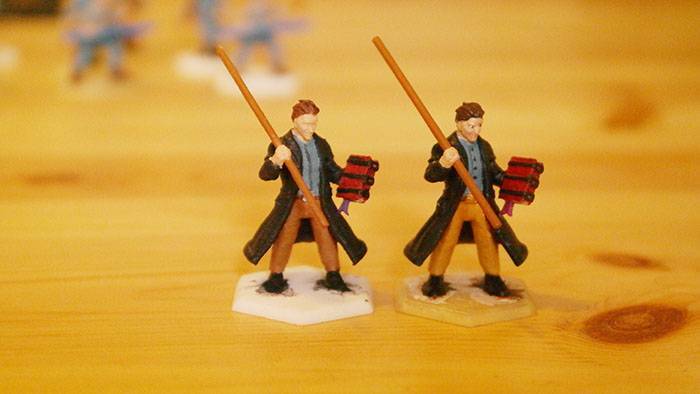 Overall, I’m pretty pleased with what the miniatures are. 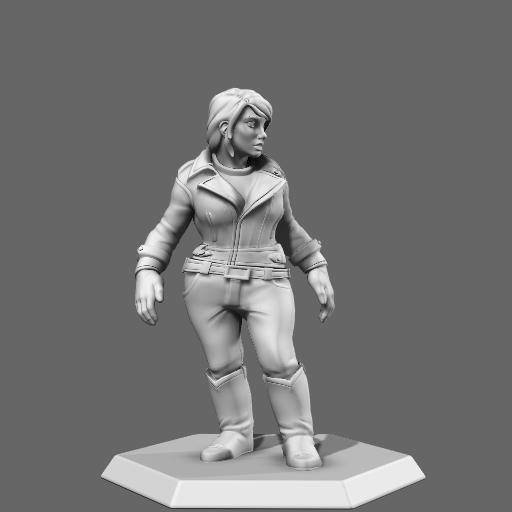 It’s really cool to have minis that are truly custom, and Hero Forge is adding new options to their creator. Dragon, canine, and feline faces allow greater diversity of characters now. 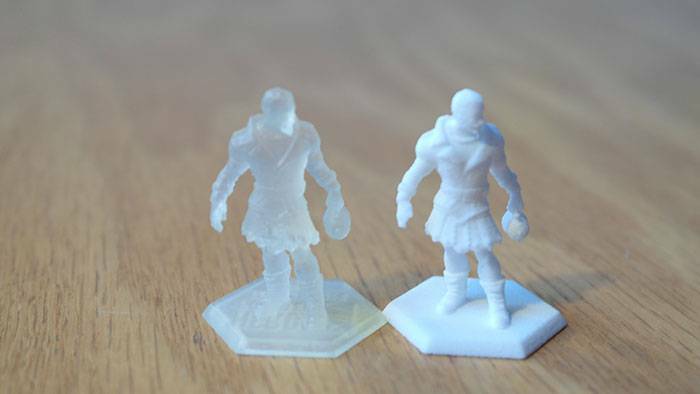 The issues in the minis are due to 3d printing being in its toddler years and aren’t overwhelming. At $15 for a strong, strong mini and some time painting, I can see using this to get just the right character for a long term campaign or the right BBEG. 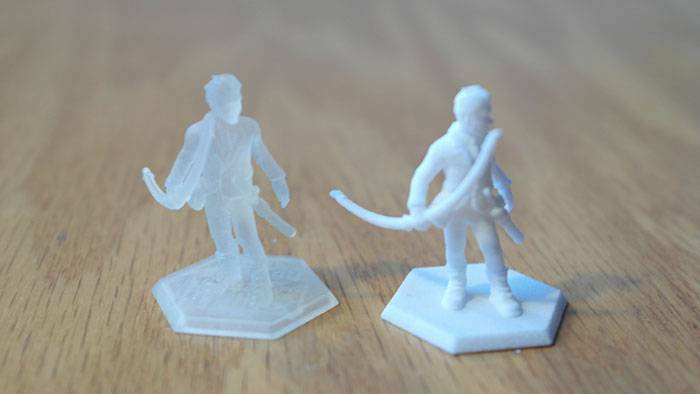 The ultra-detail minis are better overall, but at $25 it is a bit much unless I really have a great desire for an ultra detailed miniature. What other questions can I answer about the miniatures or throw to David about painting them? 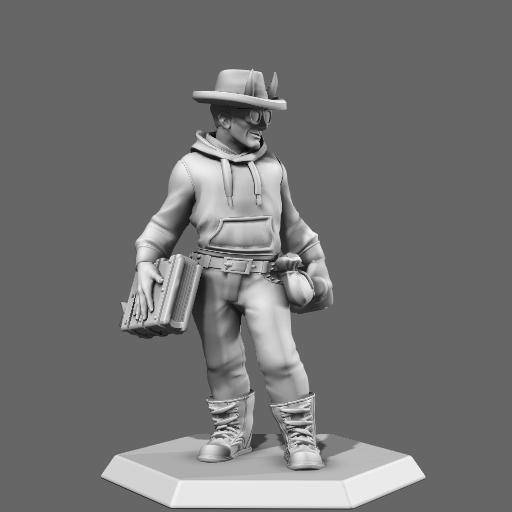 Have you ordered Heroforge minis? What was your experience? 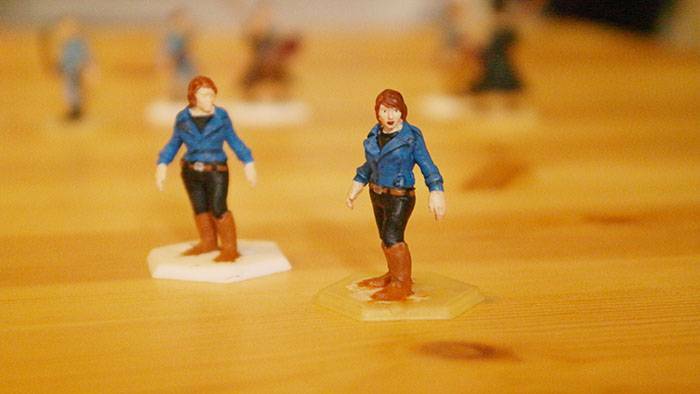 We’ve bought six or seven of these minis and painted them. The clear nature wasn’t an issue once they were primed with white or black depending on our color schemes, but we did find that they can be quite grainy which makes fine detail a little difficult. We also found, on the plus side, that they take E600 and superglue very well. Yeah, most of their promotional pictures have primer on the ultra detail and the picture on the pricing page is shot in such a way that it doesn’t appear as translucent as it did when it arrived. I glossed over the “arrives translucent” on the picture, but getting primer on them made them look better. I haven’t yet tried to glue the few broken parts back on, but I’m glad to hear they repair easily. These are so cool. It’s especially neat considering I know most of the folks they’re designed for. I love minis, but my whole slowdown is always the fact that I know I will never find the time to paint them to my satisfaction. 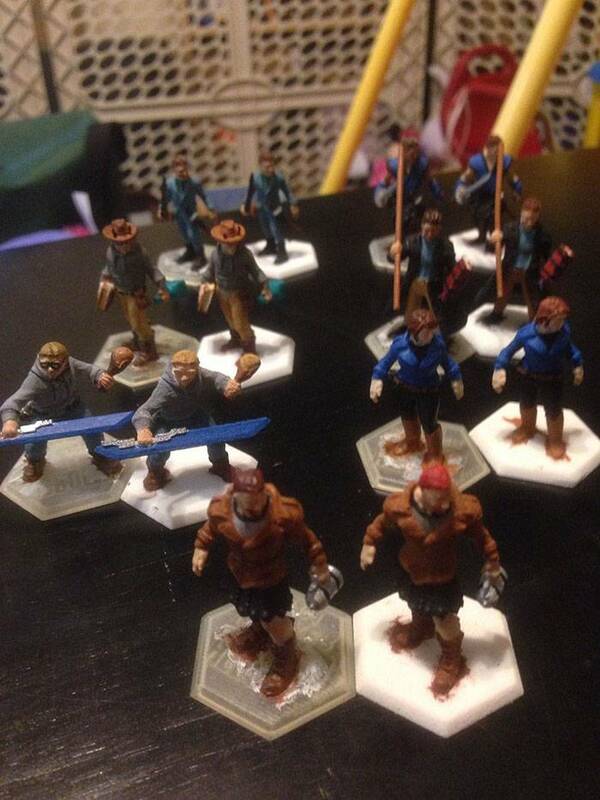 Yeah, it is kind of funny looking at the minis that are of your friends. I’ve got a few on my desk at work. 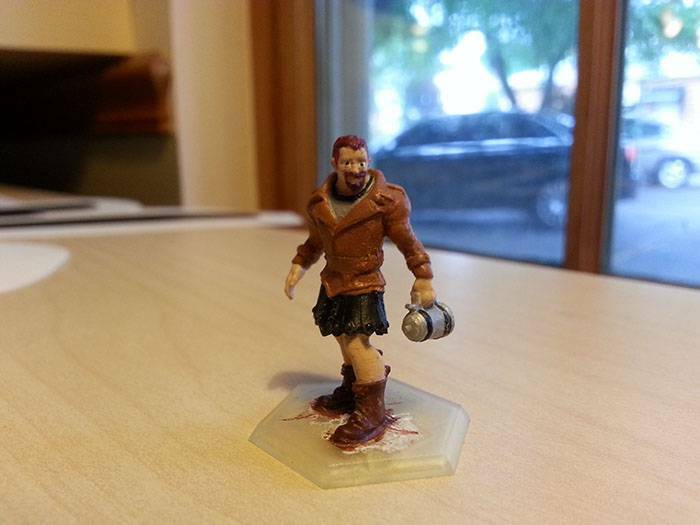 I keep trying to find time to paint my bones minis, and it just isn’t happening lately. I need to force myself to take time to do it, maybe while listening to misdirected mark. 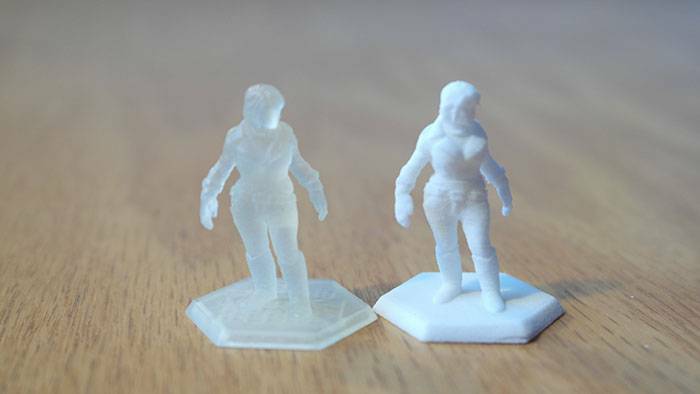 Here are photos from Hero Forge that show more “traditional” uses than making your gaming group. This is such a cool idea. My very artistically inclined daughter asked me what I wanted for my birthday and I initially said “Lunch somewhere inexpensive”, but changed it when I read this article to “Build a mini for me – anything you think is cool”. 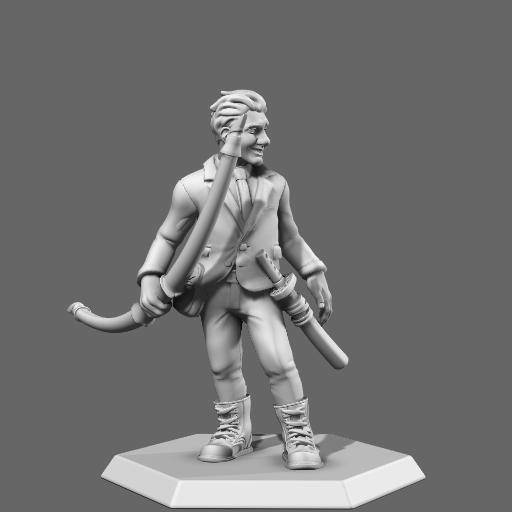 Once Heroforge is back up (currently down due to increased demand for the grey plastic) they are sending us some minis to do an expanded review on.